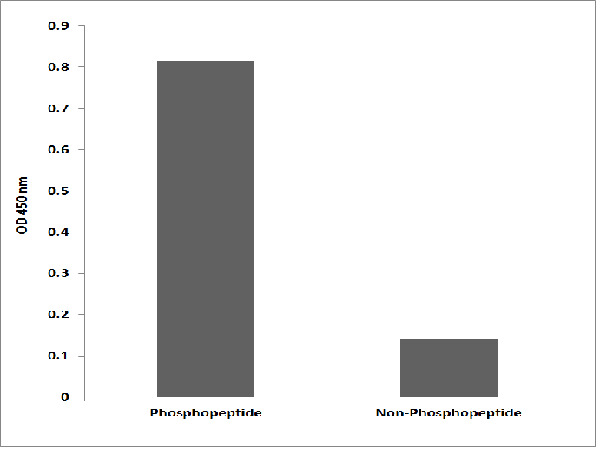 ABL1 (Phospho-Thr735) Antibody detects endogenous levels of ABL1 only when phosphorylated at Thr735. Rabbit IgG in phosphate buffered saline (Phospho-without Mg2+ and Ca2+), pH 7.4, 150mM NaCl, 0.02% sodium azide and 50% glycerol. The antiserum was produced against synthesized phospho-peptide derived from human ABL1 around the phosphorylation site of Thr735. 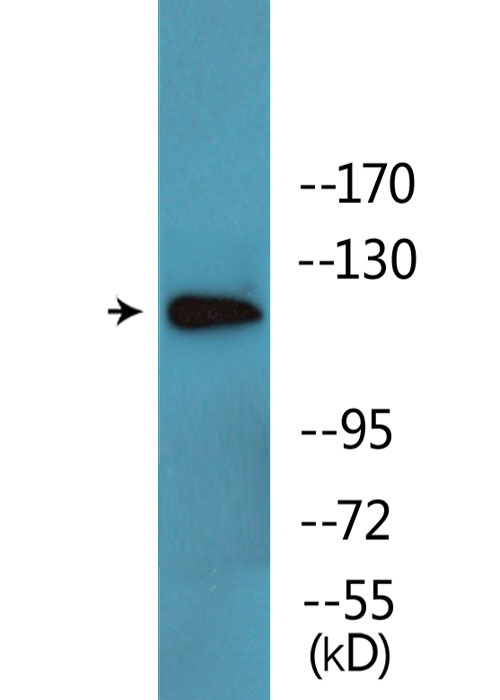 Western blot analysis of lysates from COS7 cells treated with EGF 200ng/ml 30', using ABL1 (Phospho-Thr735) Antibody.